This is a restaurant worthy appetizer, It includes meat cheese red pepper and much more. Its Beautiful on the outside but taste even better. 1.) Wash and dry mushrooms. 2.) 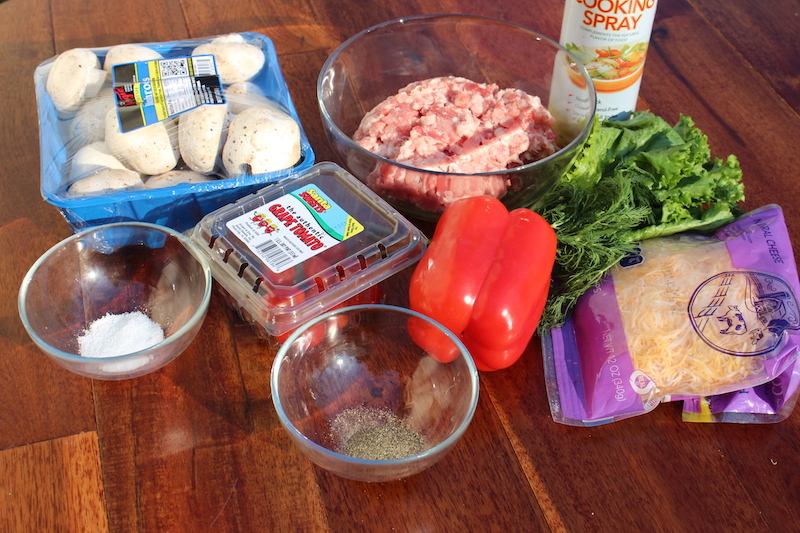 In a bowl add Ground pork, salt and pepper. 3.) In the same bowl add crushed garlic. 4.) 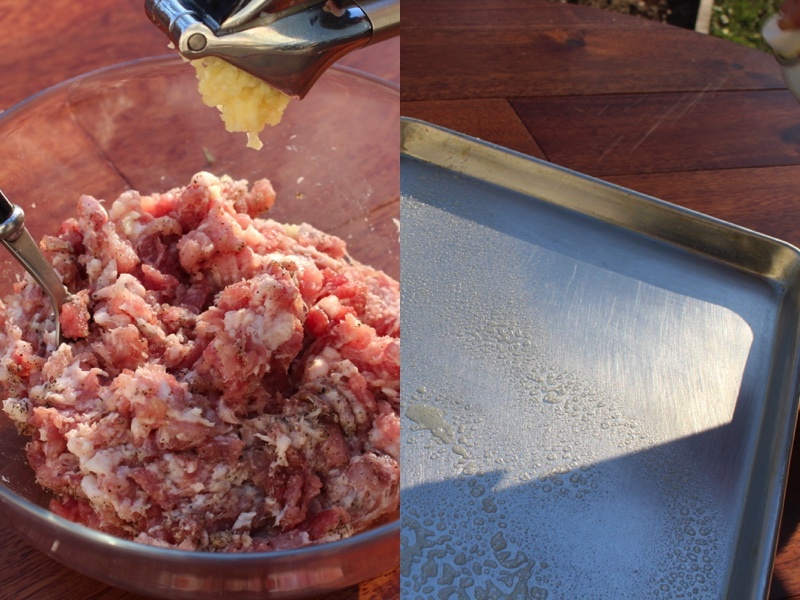 Spray the baking sheet with cooking spray. 5.) 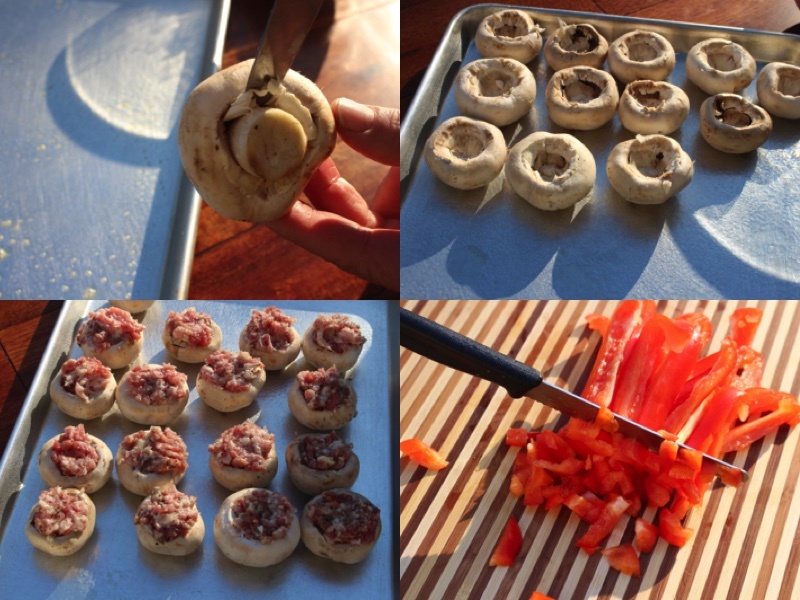 Remove stems from all mushrooms. 6.) 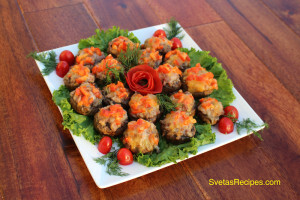 Set mushrooms on the baking sheets. 7.) Put a part of the mixture into each mushroom. 8.) Chop pepper into small rectangles. 9.) Mix pepper and cheese. 10.) Place on top of each mushroom. 11.) Bake for 30 minutes. 12.) Decorate on your serving plate. 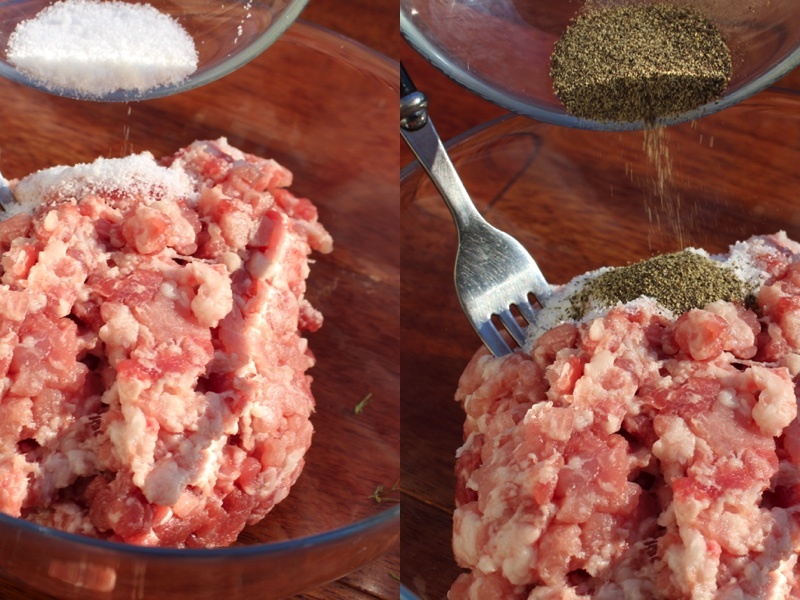 In a bowl add Ground pork, salt and pepper. In the same bowl add crushed garlic. 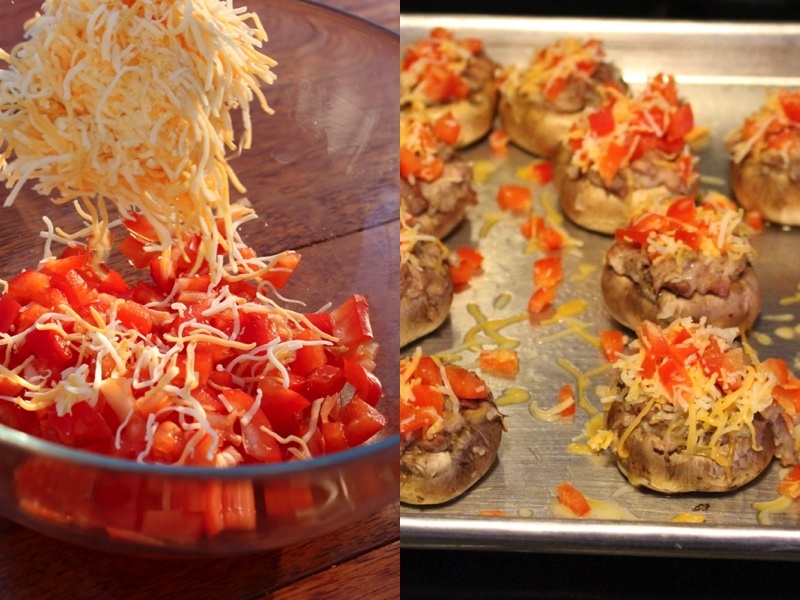 Remove stems from all mushrooms. Set mushrooms on the baking sheets. Put a part of the mixture into each mushroom. Chop pepper into small rectangles. Place on top of each mushroom. Decorate on your serving plate.